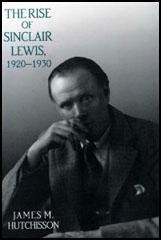 Sinclair Lewis, the son of a doctor, Edwin J. Lewis, was born in Sauk Centre, Minnesota, on 7th February 1885. His mother, Emma Kermott Lewis, died when he was six. In 1892 his father married Isabel Warner. Although he got on fairly well with his step-mother, at the age of thirteen he ran away from home, wanting to become a drummer boy in the Spanish-American War. He was educated at Oberlin Academy and Yale University. In 1906 Upton Sinclair, a member of the Socialist Party, and a successful writer, decided to use some of his royalties into establishing, Helicon Home Colony, a socialist community at Eaglewood. One of those who joined was Sinclair Lewis, who was to be greatly influenced by Upton Sinclair's views on politics and literature. Four months after it opened, a fire entirely destroyed Helicon. Later, Sinclair blamed his political opponents for the fire. After his graduation from Yale University, Lewis worked for newspapers and publishing houses. His main objective was to be a full-time writer. For a period he was a member of Carmel, California writers' colony. He met Jack London and sold him plots of novels, including the one he used for The Assassination Bureau. In 1908 Lewis moved to New York City where he became a freelance writer. His first novel, Hike and the Aeroplane was published in 1912. He married Grace Livingston Hegger in 1914. They had one son, Wells Lewis (1917–1944), who was named after author H.G. Wells. Sinclair Lewis published Our Mr Wrenn: The Romantic Adventures of a Gentle Man in 1914. This was followed by The Trail of the Hawk (1915), but it was his novel Main Street (1920), that established his reputation as a great novelist. The book sold 180,000 copies in the first six months, and within a few years sales were estimated at two million. Lewis's greatest work, Babbitt, was published in 1922. One critic wrote "The creation of George F. Babbit - whose name has become synonymous with bourgeois mediocrity - an intellectually empty, emotionally immature man of dubious morals who nevertheless remains a lovable comicstrip figure, is Lewis's greatest accomplishment." His next novel, Arrowsmith (1925), about a young doctor's attempt to maintain his integrity in a world of commercialism, was awarded a Pulitzer Prize. His next novel, Elmer Gantry, the story of a revivalist minister, appeared in 1927. Dodsworth (1929), was an account of a retired automobile manufacturer travelling in Europe. Both books were well-received and in 1930 Lewis became the first American novelist to be awarded the Nobel Prize for Literature. When he received the prize he warned that writers were "still afraid of any literature which is not a glorification of everything American, a glorification of our faults as well as our virtues." Although no longer an active socialist, Lewis continued to write books that revealed his commitment to political and social change. This included Ann Vickers (1933), a book about the women's movement and prison reform, and It Can't Happen Here (1935) a warning about the dangers of fascism. After the Second World War his novels included Cass Timberlane (1945), Kingsblood Royal (1947) and God-Seeker (1949). Sinclair Lewis was an alcoholic and after a heart attack his doctors advised him that he must stop drinking if he wanted to live. Lewis was unable to do this and died of paralysis of the heart in Rome on 10th January 1951. 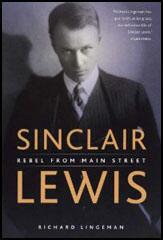 Another sitter of mine was Sinclair Lewis, the strangest literary man I have known. He was restless, clownish, and intense as only Americans can be, and he prowled round my studio incapable of sitting still, while all the time he poured out the most remarkable monologue of love and hate, shrewdness and sentimentality, that it can have been the lot of any portrait painter to hear. He used to leave me with a sense of exhaustion and elation that I have never known any other human capable of producing. He was obsessed by a dread of the future and of his own in particular, fearing that his creative faculties would dry up ; and all this before he wrote, Babbitt, The Man Who knew Coolidge, and It Can't Happen Here. His irony was devastating, and I wish I dared write some of the thrusts he made at contemporary writers, French, English and American, but I have been warned that it is possible in this country to write the truth only of the dead. All the time I am struggling with the awful fear that anything I have said will be held in evidence against me. I have sometimes wondered if Sinclair Lewis looks back on that particular visit to England with dissatisfaction. Never have I met a man so sensitive and yet with such a gift of putting his foot in it. He would break all the snob rules laid down by the mumbo jumbos of English literature, and infuriate everyone with a taint of preciosity. Sometimes it would seem that a devil possessed him, although I recall two occasions when he was worsted. Once we were at dinner with Somerset Maugham, and among those present were Mrs. Maugham, Knoblock, McEvoy, Osbert Sitwell, and Eddie Marsh. There was nobody in the party to whom Sinclair Lewis could take exception; and as for our host, I have always noticed like many others that he is the one man admired by all authors. After dinner, Sinclair Lewis took Eddie Marsh's monocle, stuck it in his own eye, and began parading up and down with Eddie Marsh following like a dog on a string. Then, to amuse himself, he parodied high-brow conversation in the best Oxford manner, at times imitating McEvoy's cracked voice, which was sometimes bass and sometimes treble. All of us were embarrassed, as the parody was grotesquely realistic, and I saw McEvoy pull his hair over his forehead and begin to look like a village idiot, a danger signal in him. I knew it would come, and sure enough McEvoy suddenly interrupted the parody and inquired if Sinclair Lewis was an American. Sinclair Lewis looked taken aback at the question, but fell right into trouble. "Yes," he said. "That is what makes me so sick with you condescending Englishmen." "I don't care if you are sick," replied McEvoy calmly. "In fact I should be rather pleased. But you are just the man to tell me why old Americans are so much nicer than young ones." Poor Lewis. The eye-glass fell from his eye and he was silent until we left.